CCMS is pleased to recognize local physician leaders at its 2018 Annual Meeting & Installation Dinner, May 19th at Wyndemere Country Club. 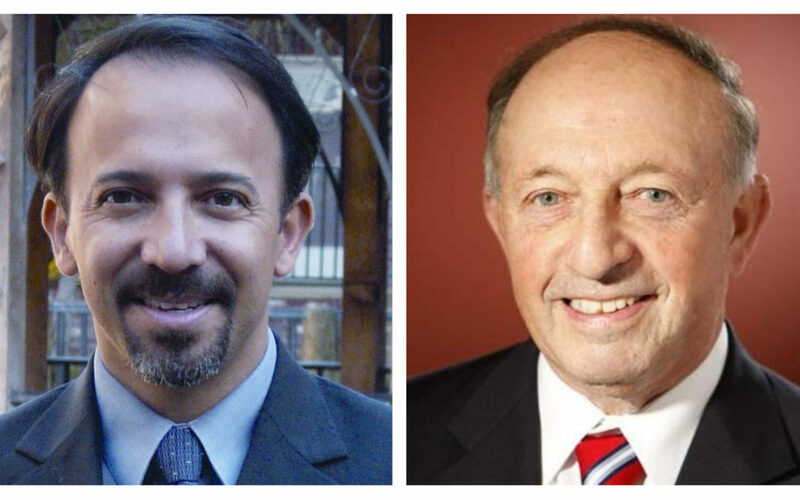 The evening features a cocktail reception and dinner program with the inauguration of the 61st CCMS President, Dr. Cesar De Leon and the presentation of the 2018 Physician of the Year Award to Dr. James Talano. In recognition of National Doctors’ Day on March 30th, CCMS is pleased to announce that James Talano, M.D. 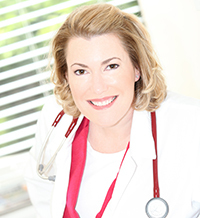 is the recipient of the 4th Annual CCMS Physician of the Year Award. 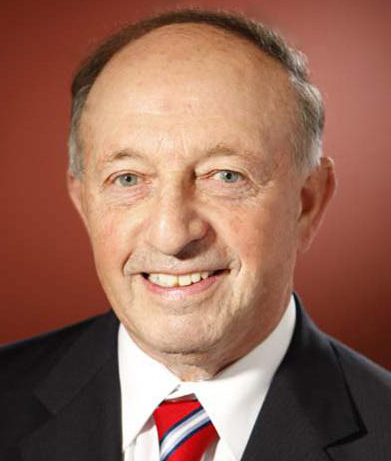 The award honors a CCMS member who deserves special recognition for exemplary contributions to the practice of medicine and/or outstanding service to our community. The Board of Directors of the Foundation of CCMS is pleased to announce the appointment of Dr. Rebekah Bernard as a new Board Member. Dr. Bernard will work with the Board to raise and manage funds for healthcare scholarships and programs that address access to healthcare, as well as help plan the Foundation’s “Docs & Duffers” fall 2018 charity golf tournament. 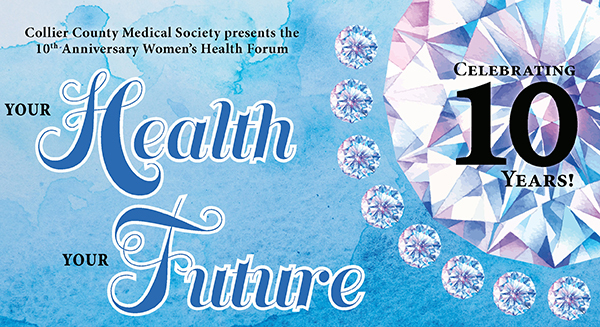 As part of its ongoing efforts to be a resource for residents and visitors in Collier County, Collier County Medical Society (CCMS) and the Foundation of CCMS are pleased to host their 10th Anniversary Women’s Health Forum, a free health education event, on Saturday, February 3rd. The board of directors of the Foundation of Collier County Medical Society (CCMS) is accepting applications through March 31, 2018 for two scholarship awards: the Dr. William Lascheid Memorial Scholarship for medical students and Healthcare Student Scholarships for students enrolled in or accepted to healthcare degree programs. 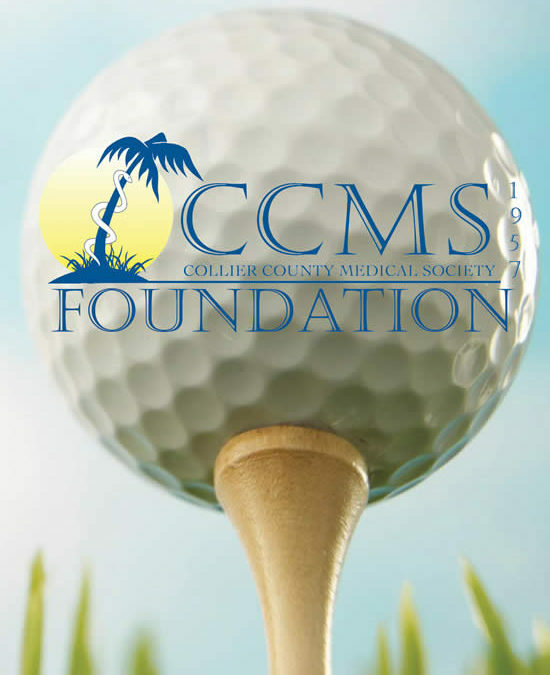 Due to Hurricane Irma, the Foundation of CCMS has rescheduled its 4th annual “Docs and Duffers” charity golf tournament for Sunday, November 12th at Bonita Bay Club Naples. The Foundation is still accepting golf registrations, sponsorships, and prize donations. Tee-off is at 8:45am, and includes an enjoyable day of golf, awards, and a banquet luncheon. As part of its ongoing efforts to connect residents and visitors with quality physicians and healthcare services located in Southwest Florida, CCMS is pleased to offer the latest edition of its Annual Physician Directory as a free service to the community. Complimentary copies of the Physician Directory are available at the CCMS office, 1148 Goodlette Road North in Naples from 9am-5pm Monday through Thursday, as well as in Collier County libraries, the Greater Naples Chamber of Commerce, and a variety of local healthcare facilities. We at CCMS are pleased to announce that our office is reopening Monday, September 25th. Thank you for your patience. Due to the aftermath of Hurricane Irma, we were forced to postpone our Foundation’s much anticipated golf tournament fundraiser, which was originally scheduled for September 23rd. We will announce the new date as soon as we are able to reschedule. The next CCMS member event is the After 5 Social on October 13th. CCMS offices are currently closed and will remain so until further notice. The Foundation golf tournament fundraiser, originally scheduled for September 23rd, will be rescheduled. Medical practices who are experiencing difficulties obtaining necessary supplies or other issues with providing patient care, please email info@ccmsonline.org with specifics and we will do our best to assist.